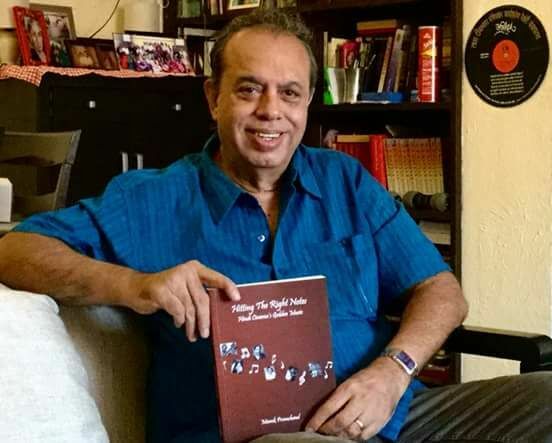 In a candid conversation with Antara, of Silhouette Magazine, renowned film historian, musicologist and author Manek Premchand talks about his latest book Hitting the Right Notes, released in December 2016 and his other books that have expressed his passion and love for Hindi film music of the Golden Era. ‘Hitting the Right Notes’ – the name itself says it all. In his latest book, renowned film historian, musicologist and author Manek Premchand takes the reader on an engrossing journey through a kaleidoscope of essays on musical trends, genres, milestones and the glorious history of Hindi Film Music. 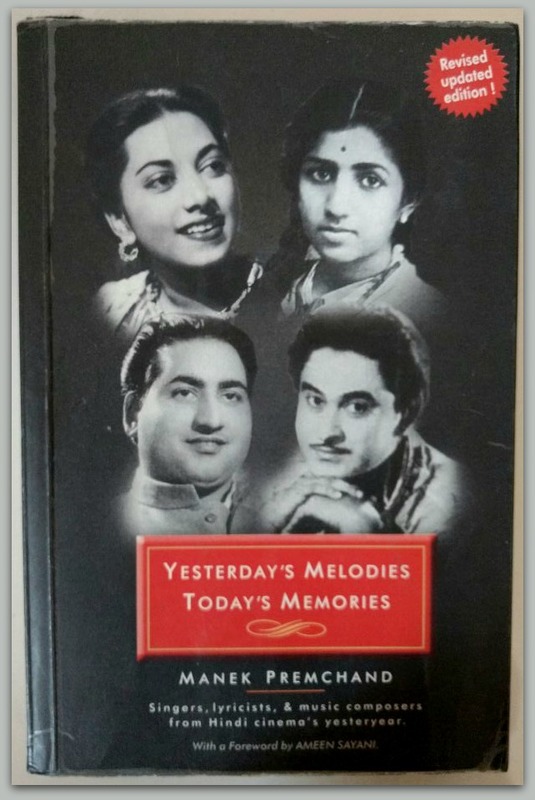 The book explores the notes that made the difference, the innovations that sparked trends, the composers and lyricists who thought out of the box and broke the barriers bringing the classes and the masses together, the musicians who arranged and played all that heavenly music without receiving due recognition and the singers who matched the actors on screen note by note and expression by expression with their god-gifted voices. 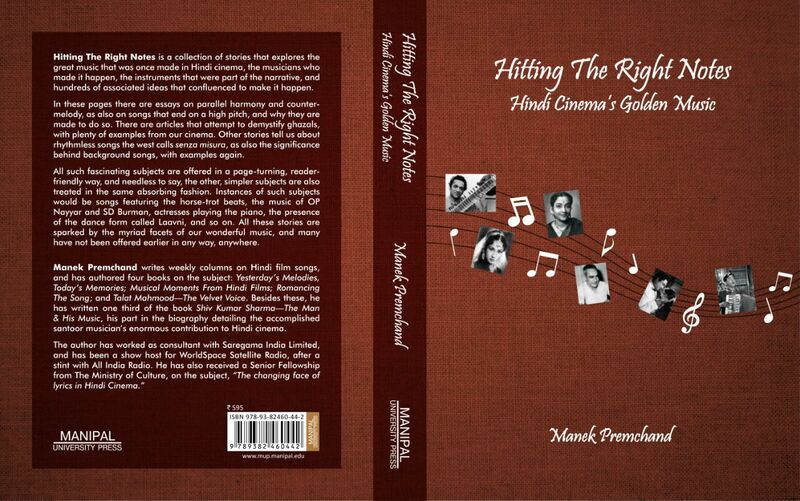 Hitting the Right Notes: Hindi Cinema’s Golden Music , published by Manipal University Press (and available on Amazon.in and Flipkart) has insights, perspectives, anecdotes and an exhaustive chronicling of Hindi film music through its Golden Era, with almost all the essays listing a number of songs that bear evidence or influences of the subject under discussion. 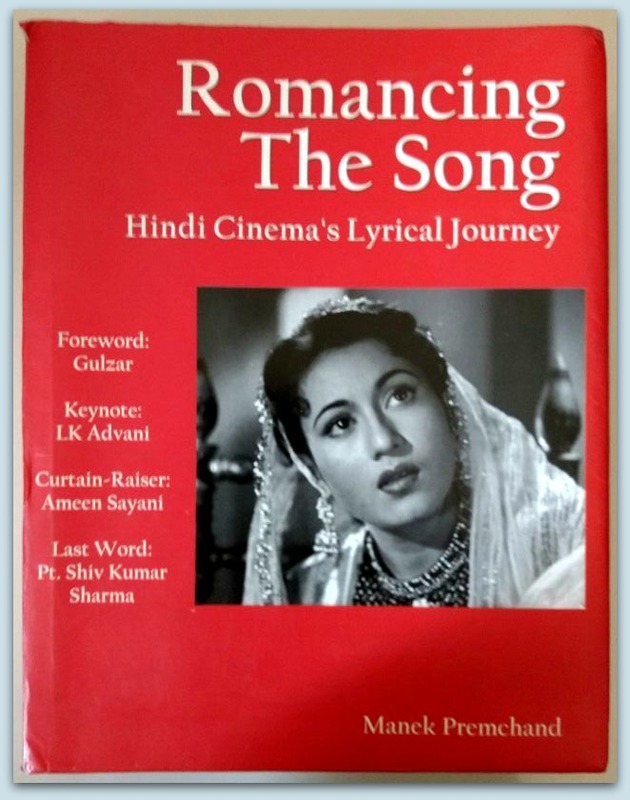 The Overview in Hitting the Right Notes is a concise yet highly enlightening sum up of the many rivers and streams of influences, people and genres that flowed towards Hindi film music, enriching its myriad forms. As a collective art form that emerged with strength in the early 1930s and transcended every barrier of language, provinces, cultures and countries, Hindi film music gave a robust and popular platform to many talents to flourish and shine. For a music lover who would like to know the genesis, growth and maturing of Hindi film music in a quick yet wholesome snapshot, the Overview is a must-read. 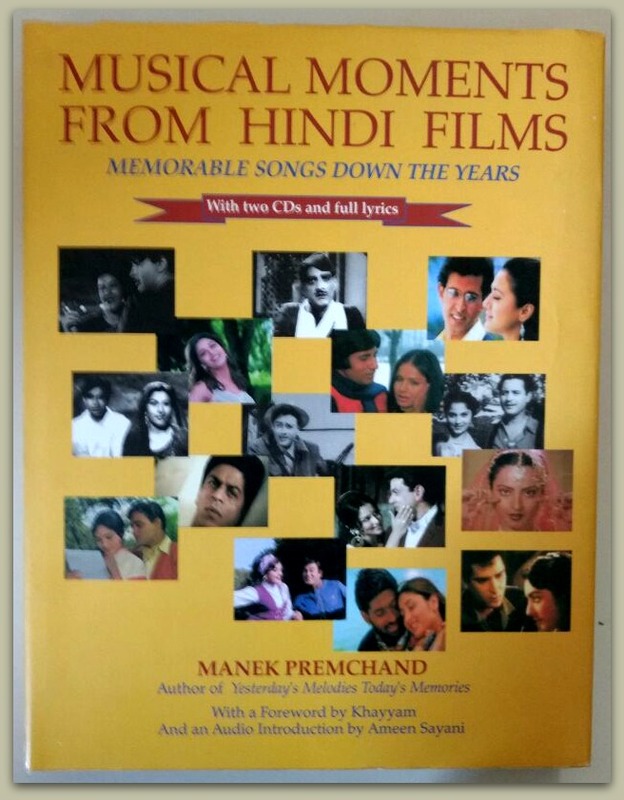 Manek Premchand’s brush with books on Hindi film music began with Yesterday’s Melodies, Today’s Memories in 2003. It was followed by Musical Moments from Hindi Films (2006) and the encyclopedic Romancing the Song (2012). 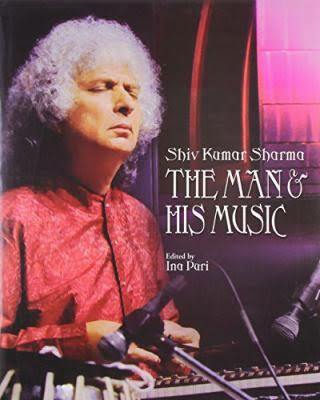 With Shiv Kumar Sharma: The Man and His Music, the biographical sketch of Santoor maestro Pt. Shiv Kumar Sharma, Manek Premchand ventured into biographies, writing a third of the book exploring the classical music exponent’s experiences as an instrumentalist and composer in film music. 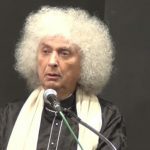 He delved into the maestro’s long innings as a music composer in the Hindi film historian, exploring Shiv Kumar Sharma’s stint as a musician, when he was associated with the legendary music directors of the day such as S.D. Burman and Naushad. The other two parts of the book were written by Pandit Vijya Kichlu who explored his classical music association and Ina Puri who touched upon his life and music through conversations. Premchand next came out with his first full-fledged biography Talat Mahmood: The Velvet Voice, published in 2015. In a candid conversation with Antara, Editor of Learning and Creativity & Consulting Editor, Silhouette Magazine, Manek Premchand talks about his latest book Hitting the Right Notes, released in December 2016 and his other books that have expressed his passion and love for the music of the Golden Era. Antara: With a repertoire of several books on music, based on in-depth research, your expertise in chronicling the growth, development, expansion and roots of Hindi film music is well-established. I am curious to know how did the first book Yesterday’s Melodies, Today’s Memories happen? What made you think of putting down your research into a book? How was the response? Manek Premchand: When I returned from living abroad for many years, I came into close contact with many film music people, principally composer OP Nayyar, through whom I met several music aficionados. Among them was the music-obsessed Sultan Arshad Khan, the head of Pakistan International Airlines in Bombay, who was also a sort of cultural ambassador from his country. Arshad Saab stayed on for nine years here, and he impacted me deeply with his awesome love for, and knowledge of music from Hindi cinema. For many years, before he left the Indian shores in October 1996, I appealed to him to write a book on what all he knew, to share trivia, and curate the wonderful music that was made in the golden years. He was always, “Okay, will try” etc. But book he didn’t start. It was then that I thought of writing one myself, equipped as I was with a Diploma in Journalism, which I had done nothing serious about till then. My new year’s resolution on January 1, 1997 was to write a book, which took me nearly seven years to write. It was called Yesterday’s Melodies, Today’s Memories. The response was humbling. It still is. Compared with that book, Musical Moments from Hindi Films was a kind of rush job, finished within an year. That is because we were celebrating the platinum jubilee of “talking films” (and so music too), in 2006, with time being of the essence. That book had snatches of my interviews with film musicians, and songs as well, on CDs. But choosing 435 landmark songs over 75 years was difficult! So I took the help of 8 music lovers, whose opinions were collated to help things become a lot more broad-based. Interestingly, our job was made somewhat easier by the non-availability of stills from moments of those 435 songs, because each song needed a photographic moment from it, as outlined in my introduction to the book! Antara: Choosing a focused subject and building a book around it is one thing. But when one is compiling an encyclopedia of sorts, chronicling the journey of something as expansive and varied as the Hindi film song, one is often in a quandary about what to keep and what to leave out. How do you make this distinction from the mounds of material, research and insights you have. Manek Premchand: It’s a daunting task, expansive and varied as you said! But then when one decides on a subject, then at each step ideas and clarity come more-or-less together. So one just decides about relevance as one goes along, bearing well that the book should not become a telephone directory :). In fact, do they even make such directories anymore? Antara: Lets take Romancing the Song for example. You have traced the history, the original roots of the music, the genres and styles, the ragas and their complexities, personalities and their contributions – in short, a massive ready reckoner on the most remarkable turning points and milestones we’ve seen. What made you decide you wanted to put this journey down in a book? Manek Premchand: Antara, many years ago, when Dilip Kumar was accepting the Dadasaheb Phalke Award, he was asked the main difference between then and now. He said, to the effect, “Many things are better now, but literature has plummeted. Poetry especially”. That struck me as so right. Later, on reading what Urdu writer Ismat Chughtai had to say about the denigration of language in our society—as also reflected in our films—that point cemented itself in my thoughts. Later, I read many people who expressed similar concerns. I then looked around and found that poetry seemed irrelevant to many people I met. These were not Dhrupad singers, to whom words mean almost nothing. These were Radio Jockeys and sites like Wikipedia, even music companies like Saregama, where I was a Consultant, would sometimes not name the songwriter on CD sleeves. Everyday folks like you and I gave lyricists a miss. This seemed very odd, and even unfair to me. Many many songs from the golden era have great lyrics as their blueprint, so that hurt. I wanted to do something about it, with no idea if anyone would even read what I had to say. The result was Romancing The Song. Antara: In Romancing the Song, you had raised a very valid point about the lack of spotlight on lyricists. We credit songs to music directors, singers, films and even actors but forget lyricists. Do you think the same trend continues today or has social media and Facebook groups on lyricists and other online interactive platforms have brought about a better awareness about their role? Manek Premchand: I think the nadir of lyrics was in the last decades of the 20th century. Things have looked up since then, but only marginally, and infrequently. The greater improvements have happened in other areas, like recording techniques, and the fact that we seem to have taken a stronger stand against re-mixes and those atrocious Jhankar Beats, which made mockery of songs! Till society begins to value writers, like management gurus, doctors and IT people, we cannot imagine throwing up great poets. Meantime there does seem to be a small shift in giving writers their due now. 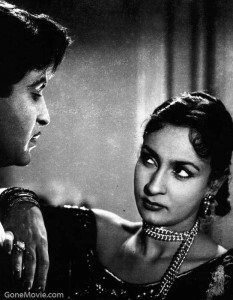 Antara: Tell us about your fellowship The Changing Face of Lyrics in Hindi Cinema. Any plans to put your research in a book format? Manek Premchand: Romancing The Song is just about the same thing as the fellowship study I made for the Ministry of Culture. In fact, the book is more elaborate. Manek Premchand: You are so right, it is so very hard to write objectively about a man you so admire, for himself and his music! But then again, music itself is subjective, is it not? A lot of our genes and conditioning make it so. 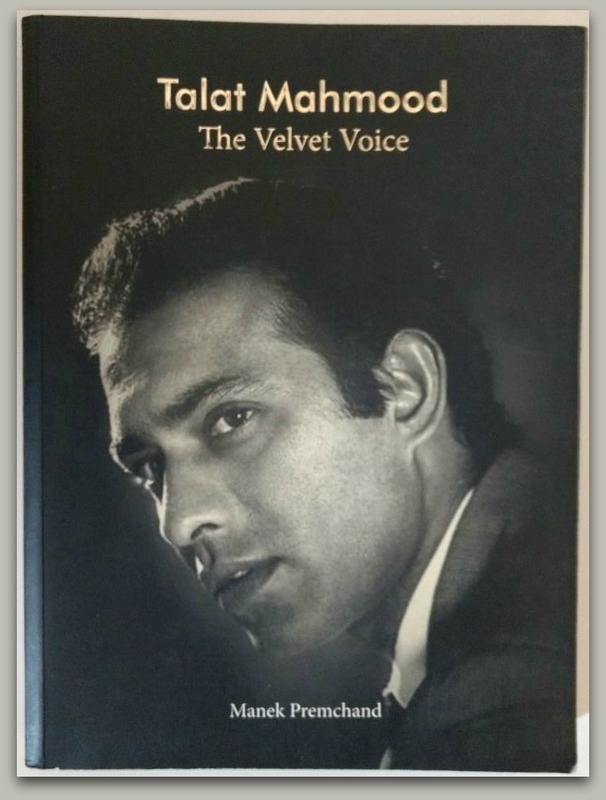 Happily though, I had no issues like what to reveal and what not to, because Talat Mahmood’s life had always been an open book, except no one had bothered to package that book well. Everyone who knew the man called him the perfect gentleman. He had no gossip around him. Which is not to say he was a dull person, not at all! He was fun, cultured, loving, and much more. I cannot even begin to tell you how he was there in my life, very strongly indeed, for some 5 years. I owed him a strong debt of gratitude for that. So the day the book came out, I went for an hour’s walk, shedding tears of joy. That was a huge moment for me to say thank you to the singing-actor, to my mom who passed on her musical genes to me, and to Him upstairs. Antara: There was a time when rare music was indeed rare. Thanks to YouTube and Facebook, some of the rarest of the rare can now be found in public domain for free. There was a time when books were said to be on the way out thanks to digitization. The plethora of books in the market shows the demand is very much there. How do you relate the two? In other words, when so much is available for free (one has to factor in informed bloggers, Wikipedia etc), how does the market for priced books on film music witness an upswing? And where do you see it headed? Manek Premchand: YouTube and Facebook are just wonderful, with everyone so connected, uploading and downloading music, sharing thoughts, having fun and learning as they have fun. Internet has opened up a new world of songs and ideas for us. As for books, the irony of our times is that more of them are being sold than ever before, even as they are being read less than ever before. The Japanese even have a word for it: Tsundoku, meaning when you buy books but don’t read them. They stay piled up in your In Tray, or go into your bookshelf, for a read someday. That certainly adds a cultural dimension to your living room. Bookshops are a visible manifestation of book sales, so with many stores shutting down, people think book sales are down. But never mind ebooks, physical books are doing just fine too, thanks to ecommerce. Antara: You have mentioned that while classical music has enjoyed larger exploration and research and greater number of books, film music has largely been sidelined although it enjoys a pan-Indian appeal that connects the masses with the classes. 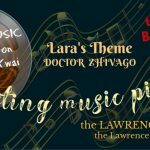 Is that situation changing now with more books being written on film music? Manek Premchand: Perhaps, perhaps, but ever so little. The greater research is still directed towards classical work. This is not endemic to India, it is a universal thing. And it is sad, because musicologists just need to get real, examine closely the sentiment behind the popularity of film songs, take a deep look at the unifying nature too of film music. Then curate it. 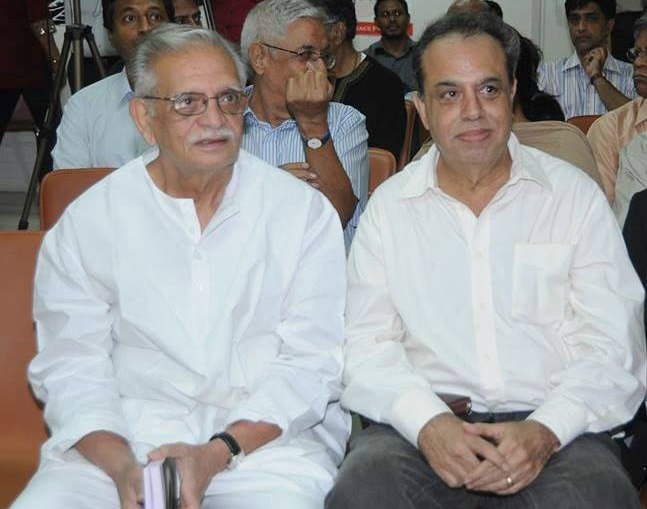 Poet, lyricist, filmmaker Gulzar Saab with Manek Premchand. Antara: In your latest book, Hitting the Right Notes: Hindi Cinema’s Golden Music, you have covered a gamut of influences that have been instrumental in shaping Hindi film music. What would you say are the three most important turning points in Hindi film music over the decades? Manek Premchand: The presence of great directors like Mehboob Khan, Raj Kapoor, Bimal Roy, Guru Dutt and many more; the engagement of classical musicians who helped lift the bar; the convergence of stunning wordsmiths both in songwriting and dialogue-writing, but the overall yes-we-can enthusiasm that electrified anyone doing practically anything within Hindi cinema. Antara: The beautiful cover of Hitting the Right Notes: Hindi Cinema’s Golden Music (designed by Arvind N) is at the same time intriguing. The pictures that flow with the musical notations are of Pt Ravi Shankar, Geeta Dutt, Meena Kumari, OP Nayyar, Ashok Kumar with Madhubala and Raj Kapoor. What made you or the cover designer select these pictures? Manek Premchand: Arvind from Manipal University Press is a very gifted designer, and the credit is owed to him. Incidentally, these photos are from the 100-plus photos found inside the book, in relevant chapters. As show host for WorldSpace Satellite Radio, Manek Premchand interviewed several legendary personalities from the world of films and music. Listen to this conversation with the Nightingale Lata Mangeshkar and enjoy the melodious songs they talk about. 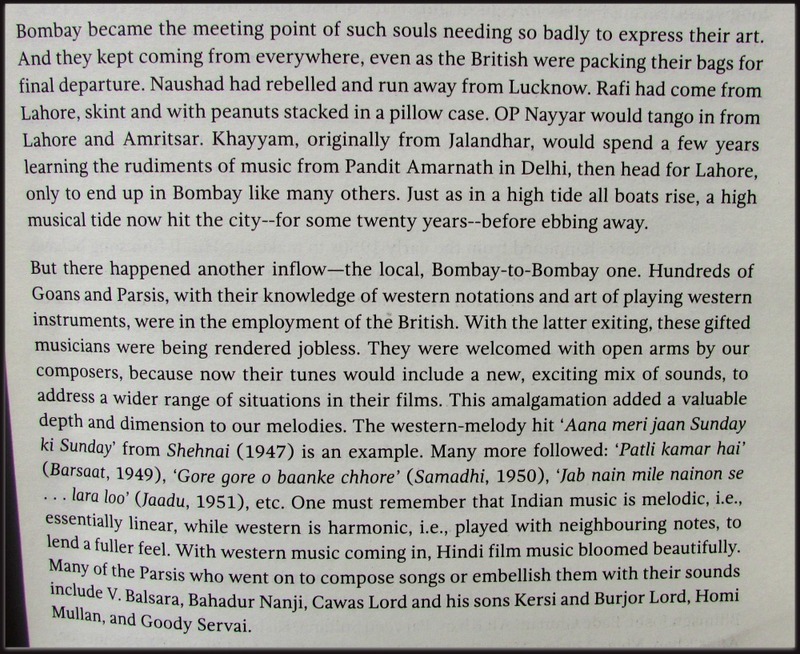 Antara: The overview in Hitting the Right Notes: Hindi Cinema’s Golden Music is one of the best ever summaries of Hindi film music I have read. In a space of about 13 pages you have taken the reader through an engrossing journey of the Hindi film song, starting right from the silent era and then the influences of New Theatres, the Bombay Studios, the music composers and lyricists, the western composers and Goan and Parsi musicians, the classical musicians and their peripheral but effective involvement and so on. Tell us about this piece in particular – as a writer I can say it is a tall order to summarise 100 years of Indian filmmaking in the context of music in such a short space. Manek Premchand: Thanks Antara, like every artist who feels he could have done better, I too generally feel the same about much of my work. Perhaps the only piece of my writing that I feel most content with is that Overview. I am humbled that you like it too. I will be delighted if the world in general appreciates that essay. Fingers crossed! Antara: The essays in Hitting the Right Notes cover a mammoth canvas of various aspects of Hindi film music and each essay is illustrated with a list of songs that bear evidence, influences or traces of the elements or innovations you discuss. Several of them are subjects not much discussed but nevertheless form an integral and important part of Hindi film music. For example, in your essay Tridented to Kill, you explore the use of three antaras, differently composed, especially by Naushad and SD Burman among others. Would you say that the proliferation of technology and technical gimmickry has somewhere eroded the scope of thought-driven innovations that earlier created such path-breakers? Manek Premchand: You have articulated my thoughts better than I could have. The proliferation of technology has eroded thought and effort from creative endeavor. I remember here the words of Bharat Ratna Bismillah Khan, when talking about Begum Akhtar: “Her voice was flawed. But that was the beauty of it. I would wait patiently for her voice to crack as she approached the higher notes and when it came, I would exclaim, ‘Wah! This is what I wanted to hear’ “. Technology today would deny Bismillah Khan the happiness of that experience. 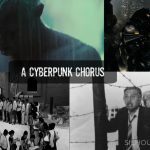 Antara: How do you visualize Hindi film music 10 years from now? Will there be a return to melody or a greater slide towards technology-driven music? Manek Premchand: Return to melody seems unlikely. Things may remain beat-driven. With fresh sounds appearing from behind the clouds now and then. Antara: And … the next book you are working on is….? Manek Premchand: Right now, I’m planning to update and bring out Yesterday’s Melodies, Today’s Memories in a new edition. And perhaps another volume of essays, on the various aspects of our music, to go with Hitting the Right Notes. Meanwhile, I am waiting for a Eureka moment to show me the light for a new subject! An excellent interview…intriguing and in depth. “The proliferation of technology has eroded thought and effort from creative endeavor.” – is so very apt. And the Bismillah experience is so true. We have forgotten to praise imperfection. Amitava has hit the right note, the crux, we know it and feel it. So true. Lata Jagtiani: Excellent work, Antara….brilliantly covered all aspects of Manek Premchand’s wide repertoire! Loved it ! Kudos! Nutsure Satwik: Hitting the right notes straight from heart. Manek bhai has written it the way he felt, and the way way he saw. I wish the book never ended. The book is editor’s choice. It has been written by a film historian who has not only grown up but has imbibed hindi film music. Not only the insight but his tangential views. Keep writing. Sandeep Suri: Well Done Antara .. A great piece on a Book so well written by Manek.. You have hit the Right Notes ! Debasish Bhattacharya: WOW…. enjoyed the ADDA through and through. Excellently presented Antara (Y). Shafqat Javed Choudhry: Great Work of Great People.Superb!!! Vineesh Vedsen: Really very talented Antara. We all know he is the knowledge fountain head of the group. So we indeed to keep our revitalised ourselves with his flow of knowledge. But that does not take away anything from you. To talk to Manek formally and then put it all together in the form of detailed documentation needs some doing. I believe with your brilliant writing experience and intellect you are right up there to take up the task. Also we know if you put your heart in, come out with usual flying colours. Anyway you have done it here …..again …..
Vijay Kumar: We know Manek and his eminence in terms of our daily interaction. But it is important to have a holistic perspective on him as this interview has achieved precisely. Antara you have had the earnestness, depth and vision to handle manek’s eminence. Brilliant. 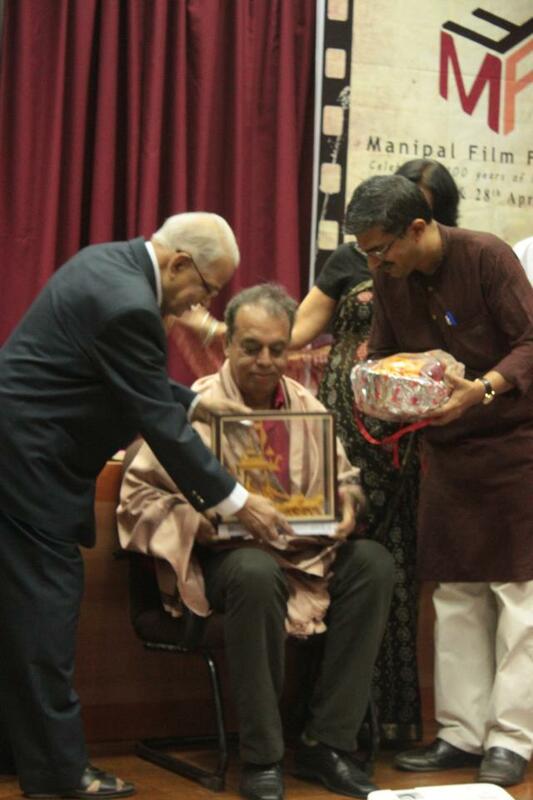 Khantha Mahadevan: Fabulous interview showcasing the entire literary output of Manek in the sphere of music and cinema! 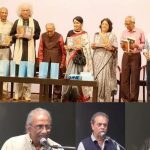 Antara ji: Hats off to you for giving readers a full panoramic view of Manek’s scholarship, depth of classical and film music, and above all his clear thinking that is wonderful to grasp via his written words! You are a brilliant writer and you do your homework so well. I read a few more of your past essays, interviews and admire your scholarship and style. Look forward to reading more of your articles. 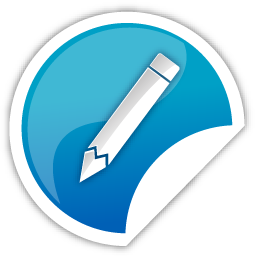 Do you publish a weekly column? Thank you and Manek for this beautiful treat that is put together elegantly including photos and video clips of his interview with the Nightingale. I am awaiting the arrival of my copy soon and cannot wait to read the thirteen page overview first. 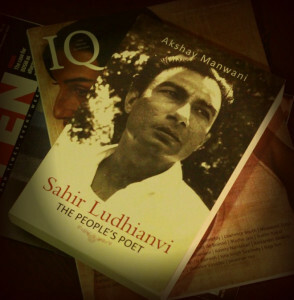 Minnu Trivedi: Just finished reading. Manek Premchand. Now I know you better. Mahadevan Khantha. You have articulated what I would have loved to. Archana Patankar: Simply superb, brilliant interview…. Sukhjit S. Makkar: Hats off to both of you, Antara for the searching questions ..May I say well researched and nuanced questions..And MP for his erudite replies.. Wow ! Sundeep Pahwa: Truly humbled after reading this review/interview with Manek Premchand,Wish you a very long journalistic journey and surely awaiting your First Book eagerly. Nisha Dhawan: Super awesome Interview. What a Brilliant one. I am definitely getting my copy of this Book Music is complete joy and these Legendary Giants of Music Composers and Singers meaningful film lyrics with human emotions. Kamal Kant: Antara brilliant interview of a brilliant musicologist hitting the right notes. Badhai to Manek Premchand Sir also for bringing out yet another masterpiece which I am looking forward to get. Vineesh Vedsen: Let me write something about the whole thing in a little more detail. Didnt get enough time to read it except yesterday morning. But needed some more time to write it in full. I will step back a little here, based on all the thoughts that I assimilated and felt needs to be brought on the table before talking about this. The Sillhouette magazine to me is like the Tata McGraw Hill books that we read in our MCA days. There were so many books on the subject but the content and ease that Tata McGraw Hill books gave were missing everywhere else. It is like a Resnick Halliday to a Physics student and a Herbert Schildt book to a C Programmer. I have managed to read some articles here, and find it is very very intellectual in its nature and construct. The fault is all mine since I am a very poor reader. My first piece of total dedication to our dearest Peeyush ji, in launching such a site for the intellectual doman in HFM. The articles are so very detailed. It must have taken him a lot of courage, gumption and confidence to think at that level and launch it for such a polished internet based group on HFM. Very sincere and heartful thanks to him. I read the one on Bimal Roy by Vijay ji, and it is too astounding. There are lot of articles around and sites on HFM but none like this is what I can say from what I have seen thus far. It is here that Antara comes into the picture. She is the perfect Antara to the Mukhda started by Peeyush ji. So much of thought, knowledge study and representation has always been associated with Science and information technology. With Hindi movies …… nah ……But we are just so lucky to be in touch with Manek Lata, that we now belong to this place. The biggest promotion one could imagine to a Hindi music buff. Antara: Vineesh… I am really wondering how to reply. What an awesome compliment and feedback! A big time Thanks! 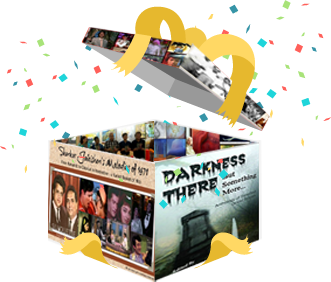 Silhouette was founded by Amitava Nag in 2002 with the precise objective of offering a critical and analytical look at cinema and allied art forms and he has steadfastly maintained that line all these years. Its a unique positioning and we got the drift. We joined hands in 2014 and we’ve also tried to maintain that essence of criticism and analysis in HFM. 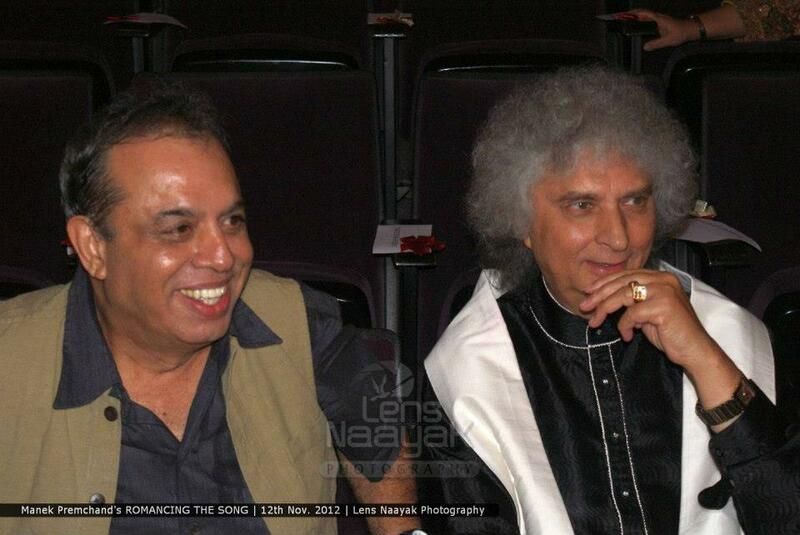 Peeyush ji’s amazing explorations on music made me look at understanding music in a new way. And finally that presentation on Bengal’s music – an opportunity and an experience all thanks to Manek Sir, Lata Ma’am and Sundeep ji. It’s been one wonderful journey since then. Now this interview with Manek Sir is one more milestone. Vineesh Vedsen: So my compliments to Mr Amitava Nag for this great find as back as in 2002. Also good to know he is an ex IBM. Please pass on my best wishes to him for being such a well wisher of HFM …….it is a good place to find the right material for our films and songs and the great personas …. Amitava Nag: Thanks Mr. Vedsen. As you may have seen already, Silhouette is a cinema magazine that touches upon film reviews, critiques, retrospective tributes as well as interviews. We have an eclectic mix of genres and moods. I guess that is where we are somewhat unique. Magazines on cinema that provide critical analysis and are seriously authentic are a rarity these days for reasons we all know. There are academic journals, University papers but we have right for the last 15 years or so maintained the semi-academic style. For readers who are interested in Hindi cinema and its music we have slowly built a treasure store thanks primarily to Antara and Peeyush da. People now know that informative and authentic discussions on film music viz. Hindi can be found here. Similarly people with a less musical ear are also directed to us because we are not racing to provide stars to films or cosying up to starlets for gossip. I humbly feel we are unique because of this two-pronged approach that caters to a wider audience. We have a lot of plans which can only be fulfilled by your support. Help us grow further by allowing us to fulfill your cerebral needs. This interview is one for keeps! I have only one word, Fascinating! Manek’s comments and your summarisation and posers left me wanting more. Loved the whole works! Wish greater strengths to the pen and vocal chords of both the interviewer and the interviewee. Cheers!!! Thank you so much MV Devraj ji! I enjoyed this experience thoroughly, learning much as we went along. I owe this to Manek Sir for the excellent and lucid responses, guidance and inputs. It’s one certainly for keeps. Will cherish it always. Thanks again! Really humbled by the appreciation. The stream of comments and appreciation are all well deserved. You have done exceptional work Antara, as you are known for. That Manek comes about straight and open is an eye opener for those who have known him only through his books. This will be part of music history for all times. Thank you so much Peeyush Da. Such appreciation from you is truly inspiring and uplifting. I have learned so much from the way you have taken interviews of people in the world of music and movies. This interview I owe a lot to Manek Sir for his candid and erudite replies. From all of you its a constant and enriching learning experience for me, every step of the way. Thanks again for such lovely appreciation! Just finished “reading” this lovely match full of volleys of pertinent questions, responded by pointed answers. Both emerge winners from their respective positions. Manek’s deep study and observations on music is commendable. And what do they say, that Antara comes after the mukhada? In spite of both emerging winners, shall I say it’s ‘Love all’. Manek Sir has a wide repertoire and it is difficult to encompass the expanse in this limited space. Hence, I tried to explore his experiences with his books because as a writer I can guess how tough it is filter, sort, compile, arrange, infer and conclude mounds of information and insights into books that are encyclopedic in nature or biographies. The detailed answers themselves are valuable insights for any writer. It was an interview I am going to remember for a long, long time. I have missed reading the book. So when I clicked on Vineesh’s post I thought I’d at least get a peep through Antara’s interview into the contents. Antara, you made me dip into the ocean! Wow! Now, I not only know about the book but also everything about the author and his journey into this beautiful world of films and music. Of course, it doesn’t end here because I’ll have to be returning to the interview again and again to catch up on the many interviews that Manek has done with the legends of the industry. Hats off Antara and don’t be surprised if you see Manek’s biography based on this exclusive piece. Such appreciation from you is highly motivating. Thank you again. Natamastak.